Dr. Tomoo Watanabe earned his M.D. from the Yamagata University Faculty of Medicine in Japan and started his career as an otolaryngologist in 1968. 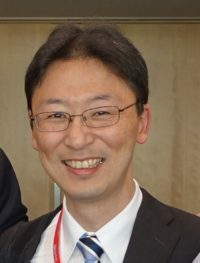 He then obtained a Ph.D. degree in Medical Science from Yamagata University, and he subsequently traveled to Basel University to study ear surgery under Professor Rudolf Probst from 2005 to 2006. Dr. Watanabe was a critical member of the group which embarked on introducing TEES to his alma mater when Professor Seiji Kakehata was appointed to head the Department of Otolaryngology, Head and Neck Surgery. He further became among the first ear surgeons internationally who worked to advance the scope and possibilities of TEES. Among his many contributions to the field of TEES was the introduction of powered surgical instruments, and, in particular, the development of a new imaging procedure to more accurately pinpoint the location of cholesteatomas. This imaging procedure, color-mapped fusion imaging (CMFI) involved fusing MRI and CT images to reveal the existent and extent of cholesteatomas, which resulted in a reduction of not only unnecessary bone removal but also unnecessary surgery. Tomoo passed away after a short illness in his mid-40s in 2016. He was not only an excellent surgeon, as someone who worked hard to provide the best of care possible and strived to expand the boundaries of our field, but he was also a wonderful person who thought of others before himself and was a good and loyal friend, mentor and family man.